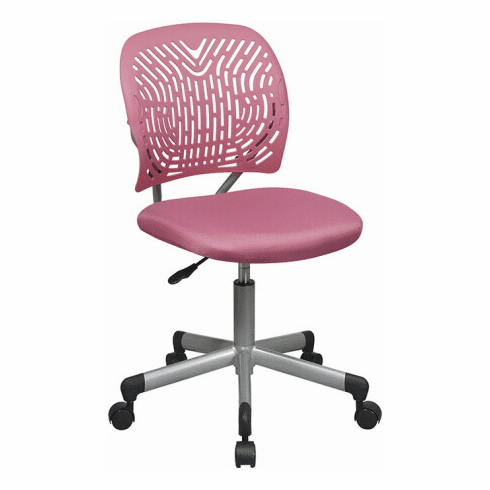 This computer chair from Office Star Products features a Spaceflex backrest that provides contoured support and ventilation to reduce body heat build up for added comfort. Spice up your home office with the exclusive Office Star Designer Task Chair. Smooth and refined, it brings out the best out of condos, rooms or small offices. In addition, it's cozy, comfy, firm and stable. It also offers universal flexibility for all ages. It is available in your choice of 5 vibrant colors.